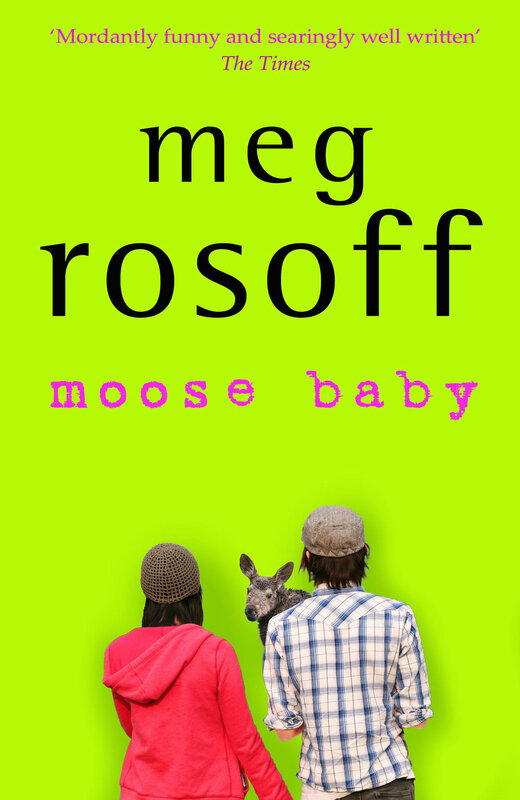 The story of a teenage couple who give birth to a baby moose, Lucas Imogen Rudolph, or Moosie as he is affectionately known. A charming little fur ball but also relatively maladjusted to the world around; at the age of eight months he already weighs one hundred kilos and not much of the furniture survives his antics. 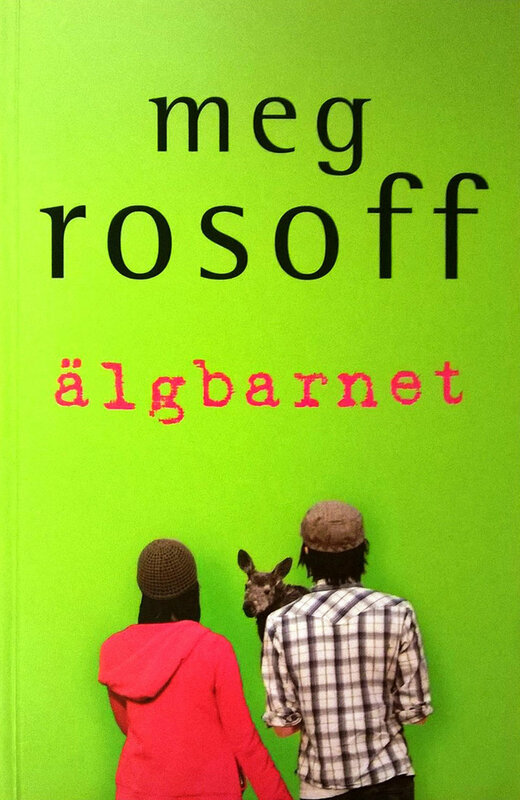 A novel by award-winning author Meg Rosoff. The midwife was giving me the evil eye. My age? Jeez. It’s not like I was twelve or something. We’d spent the last ten minutes glaring at each other, but I couldn’t help admiring the way she cradled my baby, holding him close up against her great big bazooms and looking into his big velvety eyes. Also, her smile (at him) appeared to be genuine. Which was a plus. The midwife held out one tiny foot, shiny and ebony black. It was cute. I closed my eyes, still pretty numb and queasy from the Caesarean. And a little dizzy from getting used to things. I mean, how exactly had this happened? The twenty-week scan was perfectly normal. I squeezed my eyes into slits and suddenly realized that he wasn’t a doctor at all, he was a zombie! Heh heh. Of course he hadn’t looked so superior when Mum threatened to sue the hospital over my Non Homo-Sapien Birth. He’d looked even queasier than I felt. Was he referring to the situation or my baby? I didn’t think either was going to look a whole lot better in the clear light of day. ‘Well, I guess we can’t call him Imogen.’ Nick stared at the furry creature in the cot. I could understand his disappointment. We’d both been convinced we were having a girl. And a human being. I don’t know what I expected, but he seemed really stricken. I sighed. ‘Look, Nick, they’ll cope. It’s us I’m worried about.’ I reached over and took his hand, it seemed only kind. In the plastic cot beside me, Baby Moose Pearson slept wrapped up in a pale blue hospital blanket. None of the cute Babygros I’d bought fitted. He muttered and squeaked in his sleep, his floppy nose wrinkling and unwrinkling. ‘Moe Pearson, actually.’ But I took his point. I tried to see him through her eyes. He was cute. He looked like one of those oversized cuddly toys you might buy at Hamley’s. To stick at the end of a proper baby’s cot. I closed my eyes. Seventeen. Pregnant. And now this. Oblivion was definitely my best option.